There are just a few such extraordinary examples of medieval goldsmith art in the Czech Republic. 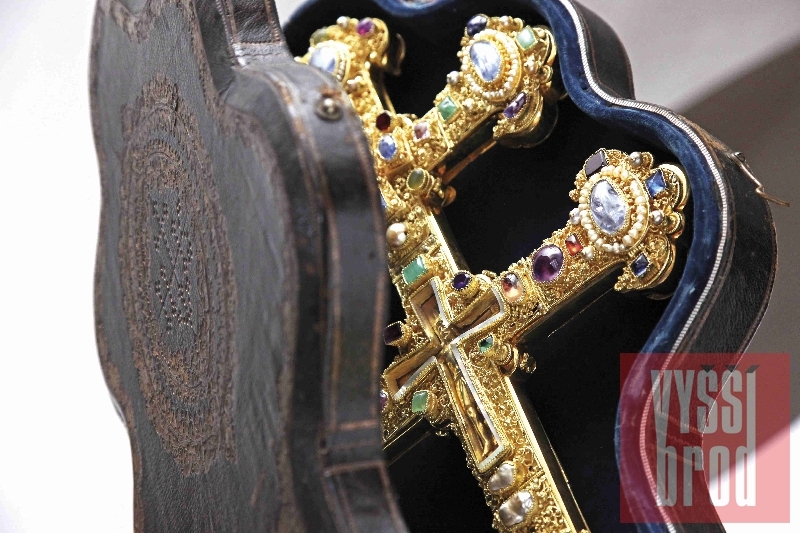 To compete with the Cross of Záviš could only the Czech crown jewels in the St. Vitus cathedral in Prague, the gold reliquary cross of the St. Vitus treasure at the Prague Castle, and the Reliquary of St. Maur at the castle of Bečov. 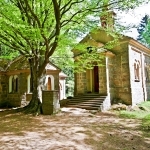 The Cross had been donated to the Vyšší Brod by a notable South Bohemian nobleman Záviš of Falkenstein not long before August 1290, when he was executed in front of the Hluboká castle by order of the Czech King Wenceslas II, as a warning to other rebellious members of the Vítkovec clan. Cistercians repaid Záviš for his generosity and graciously buried his dead body at the place of honor - right within their capital hallway. Záviš´s present was really magnificent. 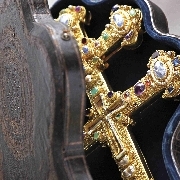 The front side of the Cross is setted with 51 precious stones including 11 saphires and 7 emeralds, and nearly two hundred pearls of different size. The back side is decorated with Byzantine medallions depicturing in email eight saints, the most important positions devoted to Apostles Paul, Peter, Luke and John. All is completed by gold filigree crafted with fascinating mastership.